As a saying from The Analects of Confucius goes, "At forty, I no longer suffered from perplexities." Forty years ago on Jan. 1, 1979, China and the United States established formal diplomatic relations. It not only ended the isolation and confrontation between the two countries, but also changed the political and economic arrangement of the Asia-Pacific region as well as the world, and imposed a far-reaching impact on international relations and world development. Although China and the United States have not always witnessed smooth sailing on the development path of the relations, the two major countries have still seen huge achievements in their relationship during the past four decades. "The most important experience gained by the two sides in the past 40 years is that only through cooperation can a win-win situation be attained, and confrontation will certainly lead to a lose-lose scenario," said Chinese State Councilor and Foreign Minister Wang Yi when summing up the lessons and experience of the development of the bilateral ties over the past 40 years. Looking forward to the next 40 years, the world is eager to see how China and the United States will strengthen their mutual trust and develop their relations. On November 8, 2018, Chinese President Xi Jinping met with former U.S. Secretary of State Henry Kissinger in Beijing. During their meeting, Xi applauded the "historic contribution" that Kissinger had made to China-U.S. relations. In July 1971, Kissinger, as national security advisor to then-U.S. President Richard Nixon, secretly flew to Beijing from Pakistan. His visit paved the way for the groundbreaking visit to China by Nixon in 1972. At that time, the connection between China and the United States relied on channels provided by other countries. As time passed, the two countries have now achieved frequent high-level exchanges with more than 100 bilateral dialogue mechanisms, covering almost every aspect of bilateral exchanges. Today, Chinese symbols like the giant panda and the terracotta warriors are becoming household names in the United States. Hollywood blockbusters have also brought joy and excitement to Chinese audiences. For basketball fans of both countries, Michael Jordan and Yao Ming are two common names spoken in both languages. "We have far greater common interests than differences and disagreements," said Chinese Ambassador to the United States Cui Tiankai. 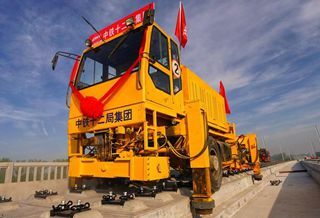 As the "ballast stone for bilateral ties," fruitful economic and trade cooperation tells the developing trend and level of China-U.S. relations most visibly. In the eyes of global aviation industry leaders, China's continuous opening up made it "the world's most exciting market and important player." Boeing had taken 40 years to deliver its 1,000th aircraft to China in 2013. And only five years later, the company delivered the 2,000th to the Chinese market, said John Bruns, president of Boeing China. Last December, Boeing's 737 Completion and Delivery Center in Zhoushan, a coastal city in eastern China's Zhejiang Province, delivered its first 737 aircraft -- Boeing's first-ever delivery of an aircraft at an overseas site. This is a microcosm of China-U.S. economic and trade cooperation. According to a white paper published by China to clarify the facts about China-U.S. economic and trade relations in September 2018, bilateral trade grew from a negligible 2.5 billion U.S. dollars in the late 1970s to over 580 billion U.S. dollars in 2017. China is the fastest growing export market for U.S. goods and the biggest source of U.S. imports. "China benefits remarkably from the strong synergy, while the United States also reaps extensive economic benefits from the opportunities and results generated by China's growth," said the white paper. Statistics from the United Nations show that China-U.S. trade expanded by a factor of 4.4 between 2001 and 2017, while unemployment in the United States dropped from 5.7 percent to 4.1 percent, the white paper noted. "This data proves that the essence of the China-U.S. cooperation should be mutual benefit and win-win," said Ruan Zongze, executive vice president of the China Institute of International Studies. As the world's largest developing country and developed country, as well as permanent members of the UN Security Council, China and the United States shoulder the responsibility to safeguard world peace and stability, and foster global development and prosperity. Many researchers have said that history has more than once proved that the world can benefit from healthy China-U.S. relations. What happened on the Korean Peninsula last year is an example. In 2018, the parties involved in the Korean Peninsula nuclear issue resumed dialogue after a long deadlock. Communication between China and the United States played an important role in this. Focusing on the long-term stability of the peninsula and taking into account the legitimate concerns of all parties, China has been searching for a fundamental solution to the Korean Peninsula nuclear issue. It proposed and has been pushing for the "dual track approachment" toward denuclearization and a peace regime, said Ruan. It has been proved that President Xi is right to insist on a dialogue between the United States and the DPRK, U.S. President Donald Trump said in a phone call with Xi in March last year. He said the U.S. side highly appreciates and values China's significant role in resolving the Korean Peninsula issue, and is willing to strengthen communication and coordination with China over the issue. After four decades, the China-U.S. relationship has once again come to a crossroads in history. On the one hand, China has declared on many occasions that it will continue its reform and opening up policy and its door to the outside world will open wider and wider. The 40th anniversary of Sino-U.S. diplomatic ties comes on the heels of the 40th anniversary of China's reform and opening-up, which has brought China tremendous economic success and social progress, far exceeding the expectations of the world. On the other hand, trade frictions between the two countries have cast a shadow on bilateral relations and drawn global attention. "Recently, negative postures of U.S. policy towards China are on the rise," Wang Yi said when meeting with representatives from the National Committee on U.S.-China Relations and the U.S.-China Business Council in New York on Sept. 24. Wang said some forces have repeatedly and groundlessly blamed China in such fields as the economy, trade, and security, creating sentiments of opposition and poisoning the relationship atmosphere. Without a doubt, the past four decades have not been a smooth ride for Sino-U.S. relations. Even economic and trade relations between the two countries have more than once experienced twists and turns. As two of the largest economic entities in the world, it is normal that China and the United States have some disagreements in the fields of economy and trade, said Ruan, adding that the key is to manage their differences properly and work out a solution acceptable to both sides in the spirit of mutual respect, equality and mutual benefit. In early December 2018, President Xi held a meeting with Trump in Buenos Aires, Argentina. The two heads of state agreed to jointly advance Sino-U.S. relations with coordination, cooperation, and stability as the defining features. From the perspective of Joseph Nye, professor of Harvard University, the relationship between China and the United States is "bound to be cooperative," because "there are too many things which neither of our two countries can manage alone, all of which are extremely important to both of our countries unless we cooperate." "The Cold War-designed containment and confrontational strategy do not serve the long-term interests of the United States, and it would not get the support of any other countries," said Douglas Paal, vice president for studies at the Carnegie Endowment for International Peace. The United States and China still share common interests in global and regional affairs such as counter-terrorism, non-proliferation, and prevention of epidemics, he said, adding engagement and balancing should be the only option for U.S. policy toward China.